Very pleasing color palette in shades of fresh green grass, white, and a warm wood in oak. 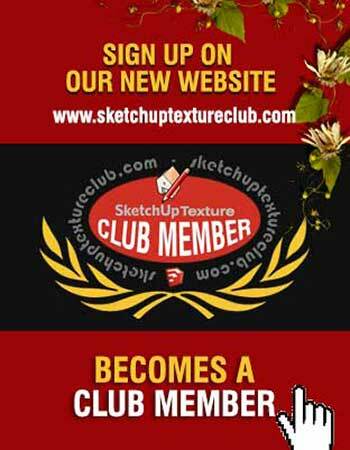 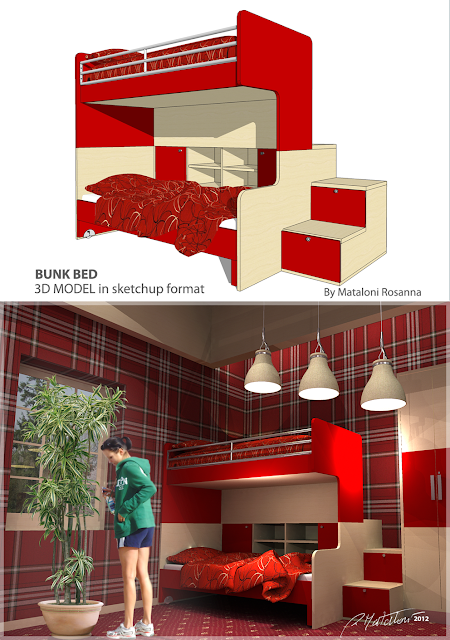 The model is full of texture and is ready to be rendered with vray for sketchup. 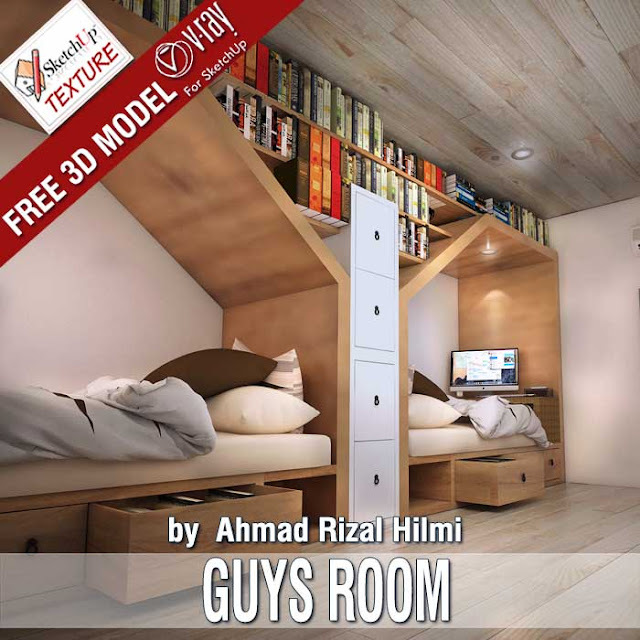 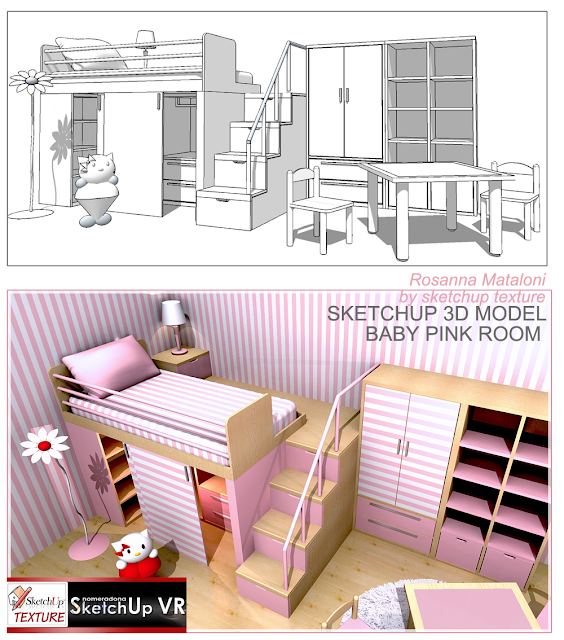 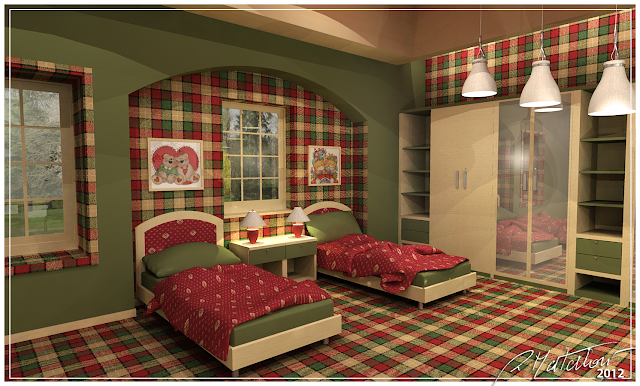 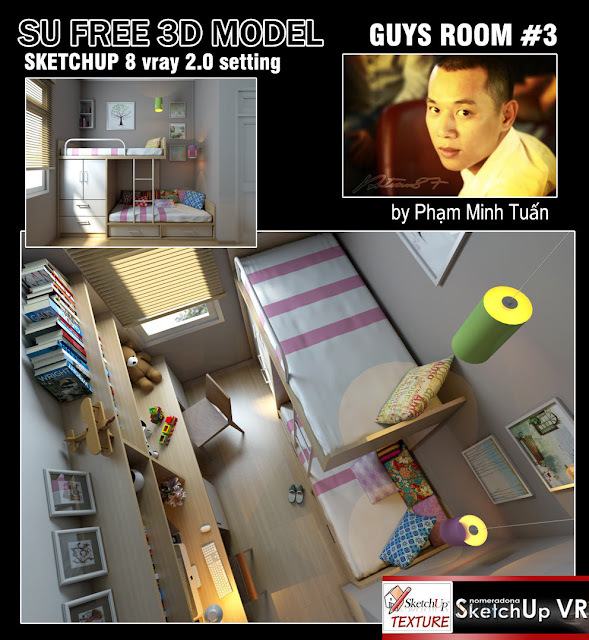 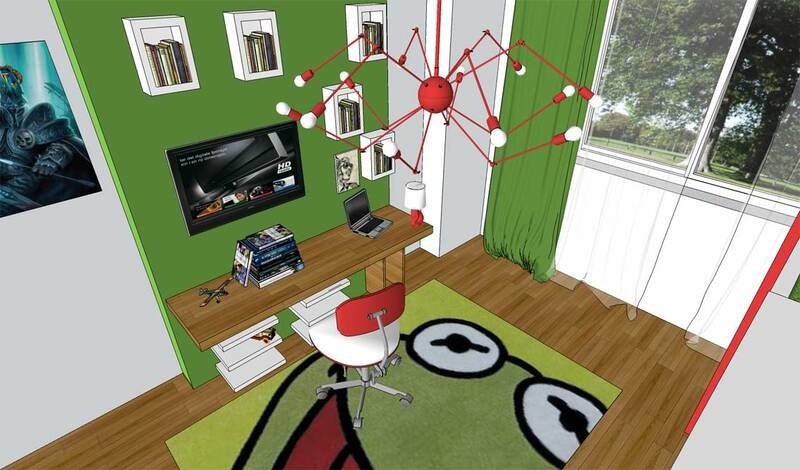 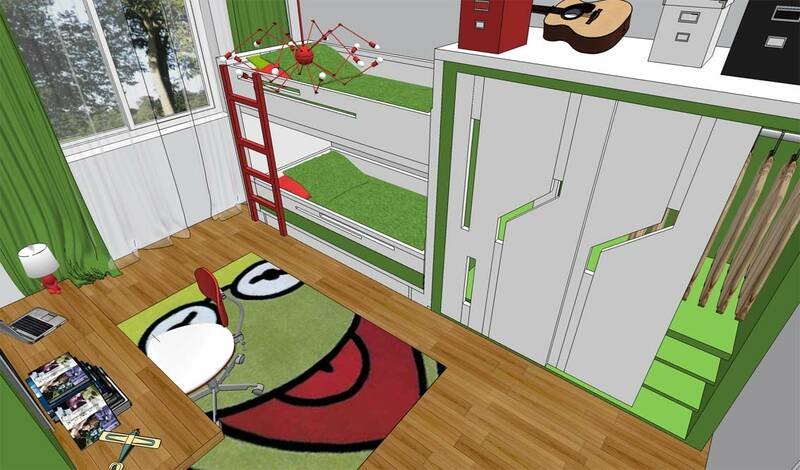 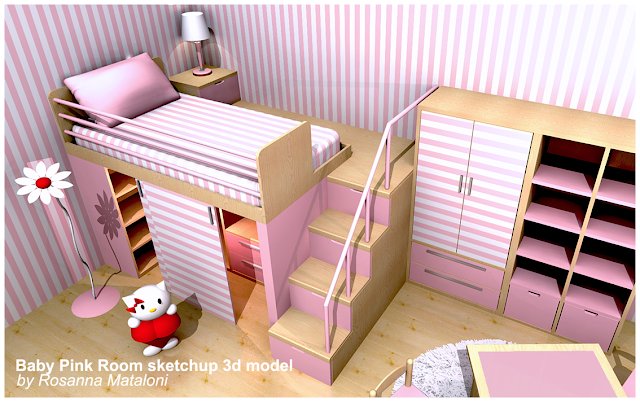 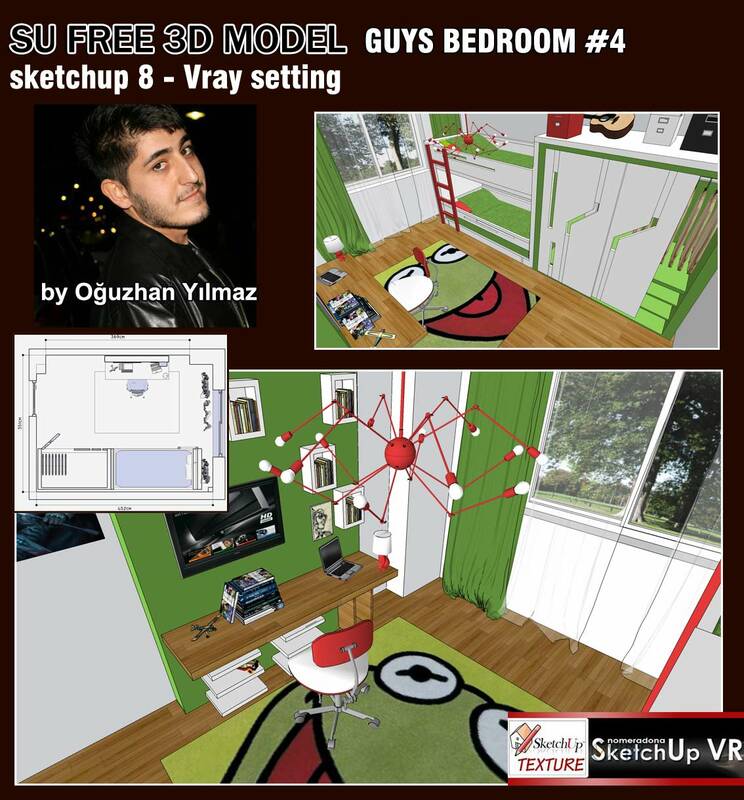 Delicious this 3d model bedroom for 2 boys, modeled in sketchup, complete with textures and vray 2.0 setting. Where they found a place all items of furniture useful to make it comfortable and functional. 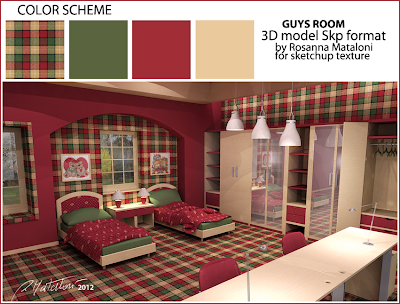 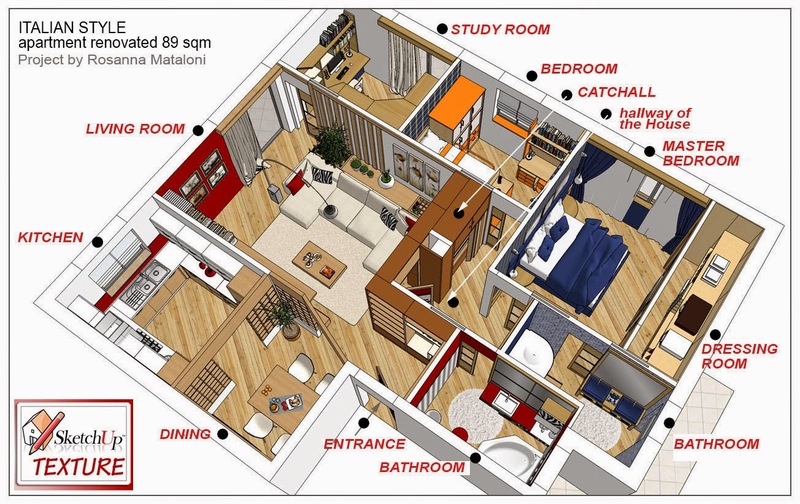 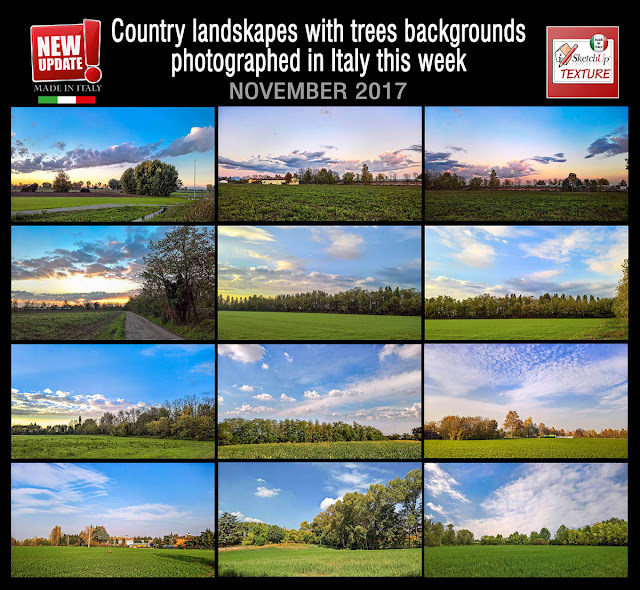 The spaces are equally divided, and the environment and rendered bright and friendly by the use of a warm wood tones.